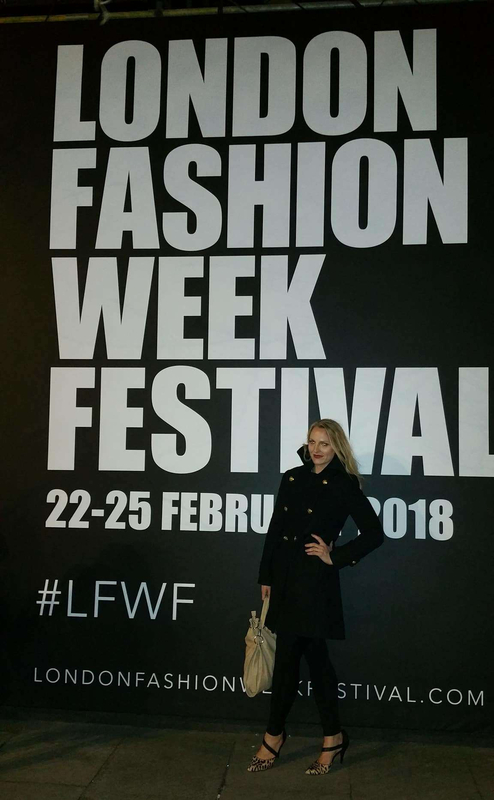 Thanks to my awesome modeling agency, I was given the opportunity to attend London Fashion Week this year, culminating in a community fashion festival weekend. I had gone to Milan Fashion Week last year and it was pretty fun. This was an entirely new level. First of all, I was excited to sit between Anna Wintour and the Queen at the Prada show until I remembered I’m a “D” list 40 year old model with cellulite so I’ll actually be waiting in line at the Gin bar in the back of a warehouse filled with size 0 sample clothes that cost more than Oprah’s house hoping I’d be lucky enough to sit on a chair stuck with gum that had once been chewed by Yasmin Le Bon. My amazing friend and travel buddy came with me, as did her lovely daughter. As a perk, she did my makeup. Without her, I’d either look like a drag queen or homeless. I’m not skilled enough for anything in between. After being fabulous with all our fabulous clothes, fabulous friends and fabulous fake eyelashes, we headed home. Our plane was scheduled to leave Gatwick Airport at 5pm. We had read on our way in that there was going to be train track work and we’d need to give extra time to get to the airport. We gave ourselves 3 hours to go 26 miles. We took the subway half way with no problems. Then we were dumped at a tube station and told busses would shuttle everyone the rest of the way to Gatwick. 1 bus every 5 minutes. For about 5,000 people. In a parking lot. In sub freezing weather. With no taxi service. Four hours later, we arrived at the airport and joined the line of all the other disgruntled travelers sidelined by the transit tragedy. Once we made it to the help desk, we were told there were no more flights to anywhere in Germany. We researched every option from renting a car and driving to Paris to taking a 30 hour bus. We settled on new tickets to Munich at 6am the following morning, the first flight off the island. Feeling Absolutely Fabulous and with no where to go, we found the airport bar. Thankfully they decided to stay open all night to accommodate the hoard of displaced voyagers. And so, being that our fake eyelashes weren’t yet between our toes (they soon would be…) we decided to drink. A bottle of wine and a few gin’s later (who knew Londoners loved gin?) We crashed for a long winters nap… err… 3 hours in a booth under electric glowing lights and insanely loud club music. At day break we flew to Munich, then bought train tickets to Bavaria. But first we had to ride the train for an hour from the airport to the Munich central city train station. Half way there, our train broke down. Short of riding a donkey out of the city, we were pretty desperate. When the conductor came on the PA system, I leaned to the well dressed business man next to me and, in an effort to learn more about the delay, asked, “sprechen sie englisch?” He said “I do speak English but I do not speak German.” We voted him our travel guide anyway and followed him through the city from metro to metro until we all arrived at the main train station for our varied trips home. We had missed our train but another soon followed and we had a few hours of respite on the final stretch home. We arrived home 24 hours after our initial return flight tired, puffy and poor. We ran out of money days ago (have you seen the exchange rate lately?) and we hadn’t eaten in weeks preparing to compete with the anorexic tree branches walking down the catwalk. But all in all, it was a GREAT trip. It was meant to be fun and frivolous and it was. While in London, after the fashion and before the travel catastrophe, I ran a race. I didn’t want to. I was hungry from perpetual starvation and it was very, very cold. However I had a plan to honor someone I cared for very much and keeping that commitment was a priority. He was a 4 year letterman on the Army Football Team, the coolest guy I knew, yet always kind to this awkward teenager. He was someone who never missed my birthday or a milestone. He called me just enough to keep us connected and we always tried to be at one football game a year together. He made the effort for me. And then he died. He was 46 years old. When I read all the posts and notes from people around the world after his death, I realized he made the effort with everyone he knew. Family, friends, classmates, colleagues of all walks of life. He led with kindness and commitment. He was cool AND kind. (Read more about him Here.) I couldn’t make it all the way to Southern California for the funeral but I could run, where I was, to show MY commitment to him and to our friendship. So I ran London, over the bridge, for James. When you know someone who lives and loves big, their loss takes your breath away. Be the kind of lover and friend that take people’s breath away. Posted in running, travel, Uncategorized and tagged as AbFab, absolutely fabulous, Airport, Army football, commitment, cool and kind, Fashion, Gatwick, James Chun, kindness, LFWF, london, missed connections, modeling, munich, patsy and edina, run, running, trains, travel.